Lincoln Valentine Style Scott was murdered in his house in Manchester, Jamaica. He was 58 years old. 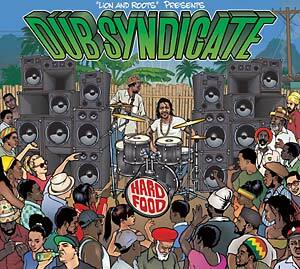 The work on Hard Food, the first album released by his Dub Syndicate since No Bed of Roses in 2004, had just been completed. Dub Syndicate's first studio album in 11 years, an event that was to be a joyous celebration with friends, has now become Style Scott's legacy. Born in the parish of Clarendon, Jamaica, from the end of the 1970s on, Style Scott emerged as one of the most high-profile and style-defining drummers of his time. Together with Errol "Flabba" Holt, he formed the rhythmic backbone of Roots Radics, whose riddim songs, including John Holt's "Police in Helicopter" and Gregory Isaacs "Night Nurse," attained the status of classics. Style Scott launched a parallel career in England at the beginning of the '80s as the drummer in Adrian Sherwood's innovative dub studio/laboratory On-U Sound, where his incomparable drumming set the stage for songs by Prince Far-I, Creation Rebel and Singers & Players. Alongside all these projects, Style's very own baby was Dub Syndicate, his "British Roots Radics" with whom he recorded more than 20 albums between 1982 and the present. 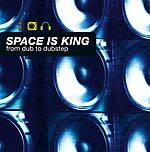 In this project, Style's riddims fused with On-U-Sound's signature style and the music and vocals of African Head Charge, Akabu, Mikey Dread and Jeb Loy Nichols. 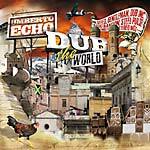 With Adrian Sherwood as the mix master and -- who else -- "Flabba" Holt on bass, Dub Syndicate explored abstract dub s paces and lush psychedelic landscapes, teamed up with the poetry of the arch dub-Dadaist Lee "Scratch" Perry, with Dr. Pablo and his melodica and brought rewinds to the dancehall with Capleton. It became a tradition for Style Scott to record the riddims in Jamaica with Flabba Holt and then add overdubs and mix the tracks in London with Adrian Sherwood. And that is precisely how the present album, which has tragically become his farewell, was recorded: Lee Perry mumbles his unmistakable incantations on "Jah Wise" in a dialogue with Sangie from the Wailers' circle. Other vocal highlights include Style's old brother-in-arms, Bunny Wailer and DJ legend U-Roy, who over Style and Flabba's legendary "Police in Helicopter" riddim admits "Dub Is All I Got." And then there's Magma, who impishly warns the ladies "Love Is Coming At You." The instrumentals on Hard Food are equally delectable: in the opening track "Sound Collision," weird synth sounds and ricocheting echoes literally collide with Dub Syndicate's trademark sound; "Gypsy Magic" is characterized by the sound of a violin, Ivan "Celloman" Hussey's riff drives the equally melodious "Addis Ababa" and the album closes with three instrumental versions from Adrian Sherwood's studio, which supplied all the dubs and overdubs. With Style Scott the reggae world, and indeed the entire world, has lost one of its best drummers.